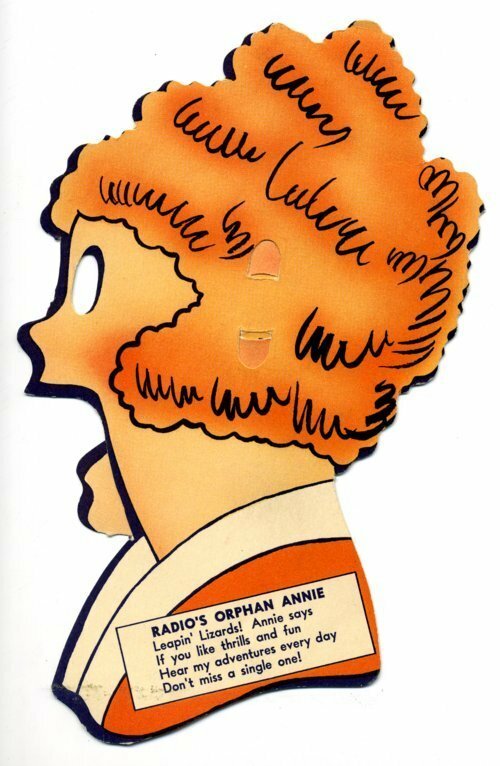 Six paper Little Orphan Annie Shadowettes made between 1931 and 1942. Little Orphan Annie was a daily syndicated newspaper comic strip from 1924 to 1968. The strip followed the adventures of Annie, her dog Sandy, benefactor Daddy Warbucks and secondary characters. It was made into a radio show (1931-1942), two films (1932 &1938), and a Broadway show (1977).